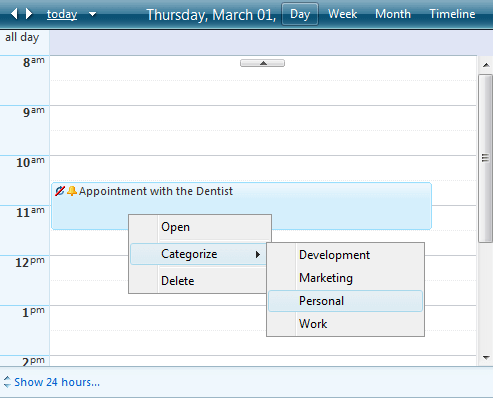 With Q3 2009, RadScheduler gives you the option to enable a default appointment context menu. If AppointmentContextMenuSettings-EnableDefault is set to true, right-clicking on an appointment will display a default context menu with two action items - Edit and Delete. 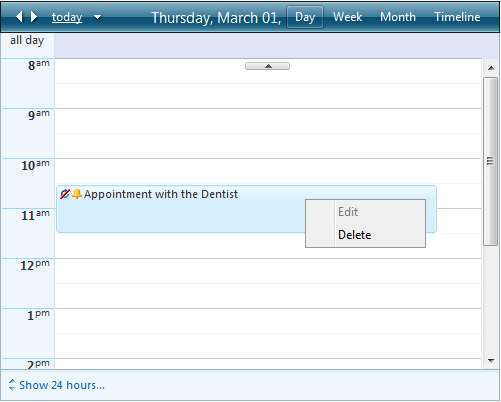 The default appointment context menu is disabled by default. If not specified, the above settings will be inherited from those of the RadScheduler instance. For more information, please see the Context menu online demo. If the RadScheduler is read-only (via the ReadOnly property) – then you will not be able to edit or delete appointments. This reflects on the context menu items too. 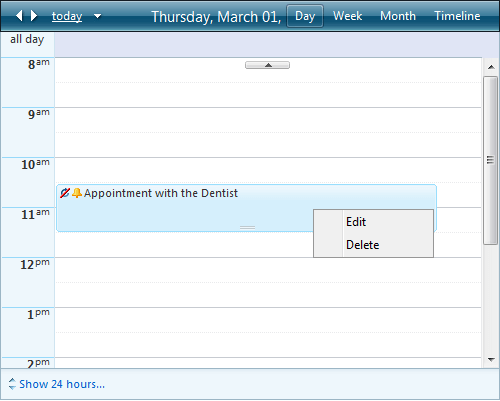 The two options of the default appointment context menu will be disabled. Also if AllowEdit or AllowDelete properties of the RadScheduler are set to “False” – the corresponding menu item will be disabled.